Combine all ingredients and refrigerate several hours to overnight. 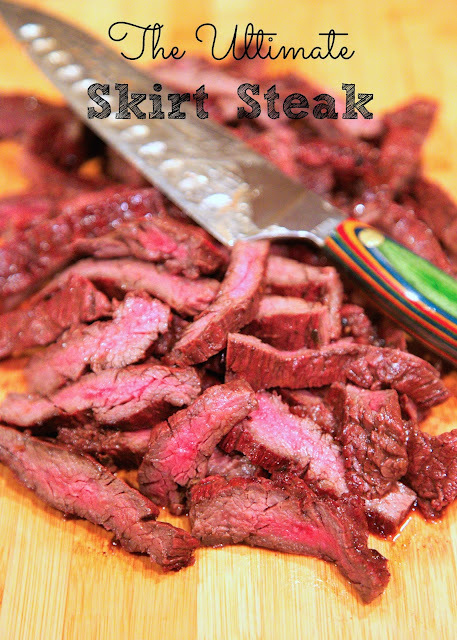 Remove skirt steak from marinade and grill to desired temperature. 6 to 8 minutes for medium-rare.